The last few weeks we’ve had some extra bananas leftover from the week. My hidden agenda was to wait for these bananas to brown so that I could make butterscotch chip banana bread french toast for my wife. I thought that she would like it given her newly found love of pancakes with bananas and butterscotch chips, but she delayed breakfast plans on my first two attempts (the second ended up being the Banana “Bill” Pancakes). So, I finally just made this banana bread during the week with some very browned bananas since I happened to have nearly all the ingredients (I swapped the greek yogurt for sour cream we had just opened). Of course, I also had to add in the butterscotch chips because, well, gluttony. It was a really easy recipe to whip up, though it took 10-15 minutes longer to cook than the original recipe (probably just my oven). 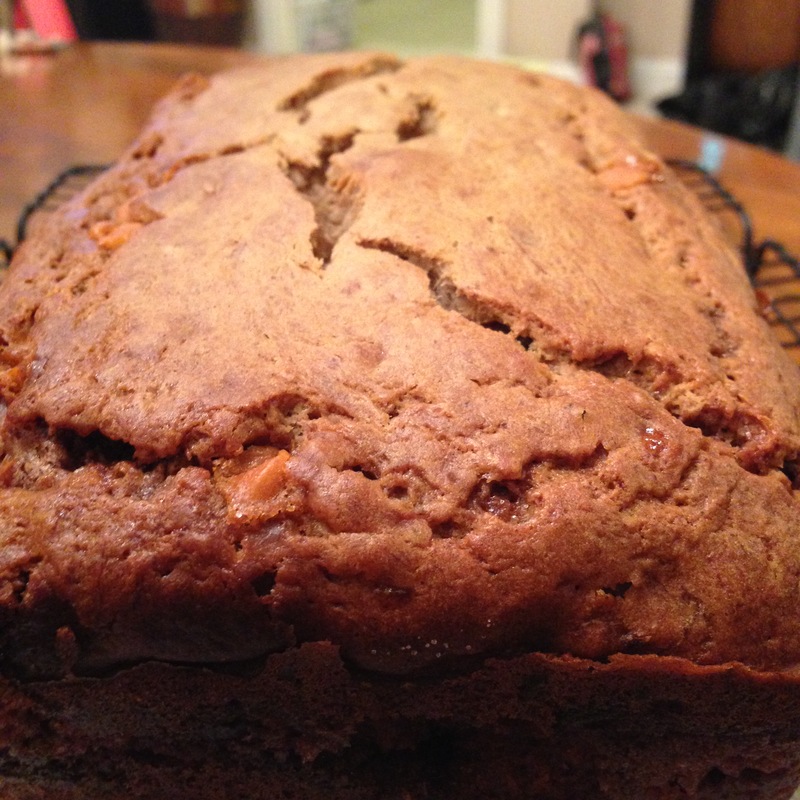 The smell of the banana bread baking in the oven was outstanding. Probably one of the best banana bread smells I can remember. I thought it was a good mix of flavors, too, though next time I will add more butterscotch chips. Preheat over to 350 degrees. Spray 9″ x 5″ loaf pan with cooking spray. Set aside. In medium bowl, whisk together flour, baking soda, salt, and cinnamon. Set aside. In a small cup, mix granulated sugar with cinnamon. Set aside. In a stand mixer, cream butter and sugar on high speed for about one minute. Add eggs one at a time, beating after each addition until incorporated. With a wooden spoon or spatula, stir in banana, sour cream, and vanilla. Slowly add the dry ingredients, mixing until just incorporated. Do not overmix. Spoon half of the batter into the loaf pan. Sprinkle cinnamon sugar mixture over the batter, then top with the remaining batter. Bake for 40-60 minutes or until toothpick inserted into center comes out clean. Start checking at 40 minutes, then cook at 5 minute intervals until done. Let banana bread cool on wire rack for 15 minutes before removing from the pan.